Washington, D.C. – Today, the U.S. Labor Department reported a solid increase of 213,000 new jobs along with a significant jump in the number of Americans who entered the labor force. This is a good sign for both the economy and businesses looking for employees, according to Small Business & Entrepreneurship Council (SBE Council) president & CEO Karen Kerrigan, as the shortage of workers is a top challenge for small businesses in the growing economy. The labor force participation rate increased to 62.9 percent, driven by 601,000 new entrants. The unemployment rate increased to 4.0 percent. “There are more jobs available than workers actively seeking employment so this surge of new workers is very positive news. Small businesses are in need of quality human capital to scale their firms and take advantage of opportunities in the growing economy. We hope the surge of new labor-force entrants is the beginning of a needed trend,” said Kerrigan. Read highlights of Kerrigan’s testimony before the U.S. House Financial Services Committee on June 20, which provides an overview on the outlook for small business spending for the remainder of 2018 and beyond (driven by the tax relief package), which includes plans for increasing wages and benefits, higher levels of investment, and more hiring. 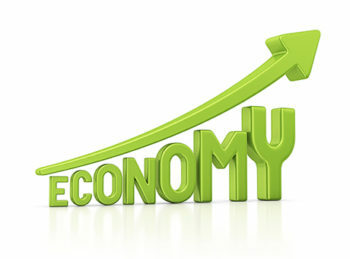 The Labor Department also issued upward revisions for the months of April (from 159,000 to 175,000) and May (from 223,000 to 244,000), which means employment gains were 37,000 than originally reported. Jobs gains have averaged 211,000 over the past 3 months. Education and health services (+54,000 with +25,000 in health care), professional and business services (+50,000) and manufacturing (+36,000) led the way in new employment growth.